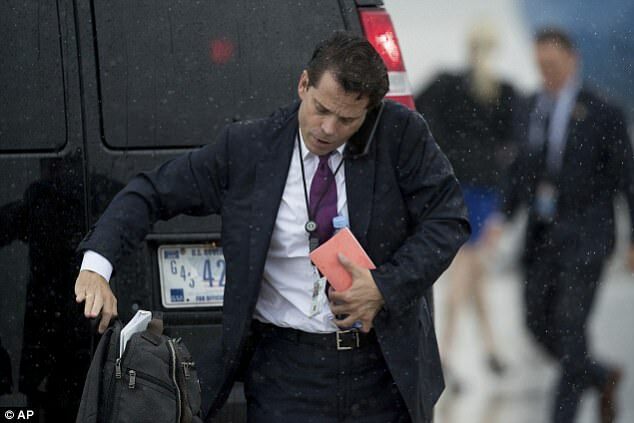 Anthony Scaramucci was reportedly escorted from the White House grounds within moments of confirmation that he had been removed by Donald Trump as Director of Communications. 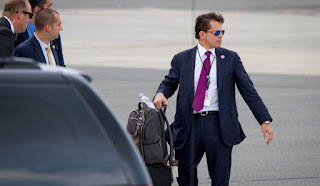 As detailed by CBS News, the 53-year-old, who less than a week ago was threatening to fire everyone in the West Wing media department if he didn't get to the bottom of a rash of alleged leaks to the media, was walked from the White House complex and beyond its security perimeter. It wasn't clear if that meant the immediate withdrawal also of his credentials to access the complex thereafter, even to collect whatever belongings he had accumulated in the ten days since first being appointed. The unceremonious removal of Mr Scaramucci from 1600 Pennsylvania Avenue was a moment of exquisite humiliation that came in the wake of an astonishing display of hubris from a man who was brought into the White House to shake up its communications operations even though he arrived with zero experience in federal government. The over-confidence, if not outright arrogance, combined with sheer naiviete about how to interact with the press, was on most vivid display when Mr Scaramucci telephoned a New Yorker reporter, Ryan Lizza, a few days after his appointment to lash out at those he believed to be leakers in the White House, as well as at Reince Priebus, the former Chief of Staff, and Steve Bannon, the top advisor to President Trump. He in particular conjured an especially vulgar and insulting image with respect to Mr Bannon. His tirade drew strong rebukes from several senior Republican figures on Capitol Hill.